Carnegie Mellon University professor Paolo Pedercini asked his animation students to reimagine an 1870s iconic film footage by Eadweard Muybridge of a galloping horse. Using a technique called rotoscoping which involves an animator painstakingly tracing over film footage frame by frame, the students did not disappoint. Their unique interpretations include a rainbow centaur, space aliens, Burger King, and even modern art by Piet Mondrian. Rotoscoping was used in the 1930s in films like Disney's Snow White and more recently in music videos such as Ah-Ha’s 1980s hit Take on Me. 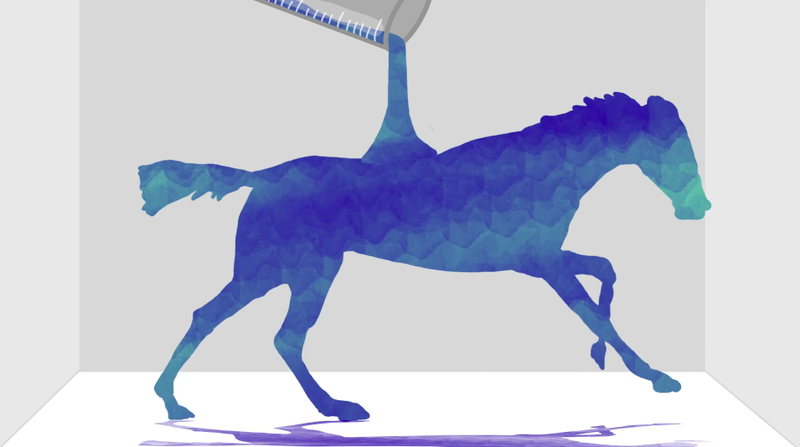 Carnegie Mellon University professor Paolo Pedercini asked his animation students to reimagine an 1870s iconic film footage by Eadweard Muybridge of a galloping horse.